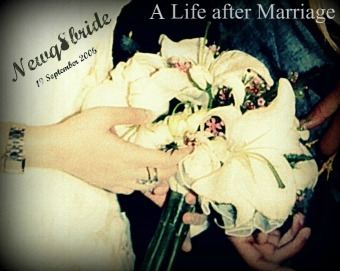 NewQ8Bride : A Life after Marriage: She is engaged with all that blooging , twitter fuzz , will u marry her ? She is engaged with all that blooging , twitter fuzz , will u marry her ? I have been so busy this week going to many ghabghat , gathering either family , or social media events . I had that thought in my mind , what if my life was not what Iam living now ?? if I am married to a man who believes that blogging , twittering or the Internet is a waste of time ?? I am not showing off , but thanks God my husband is a supportive man , at the same time I am supporting him on whatever he likes . Marriage is all about friendship , that is the most important element for a successful marriage . i am wondering , why some of you will never accept to be in a relationship with a girl who is active in blogging or twittering ?? what will make you marry and support a girl with the engagements of the blogosphere and the Internet generally ?? Iwould like to know what are you thinking of ??? Moreover , girls will you tell they guy who is proposing that you r a blogger , twitter user etc.... ?? I will tell you what i think , giving faith and trusting one another will make your life successful and happier , both of you will face the challenges and the obstacles that attack every relationship . So be , there for each other and never ever loose faith in your partner , don`t be self-centered , and think about what will make him / her happy . Wo0W Amazing Question.. Would Love To Read What Men Think About This..
As For Me Blogging Became A Big Part Of My Life.. And He Should Know That Very Early Before We Make A Decisions We May Regret Later..